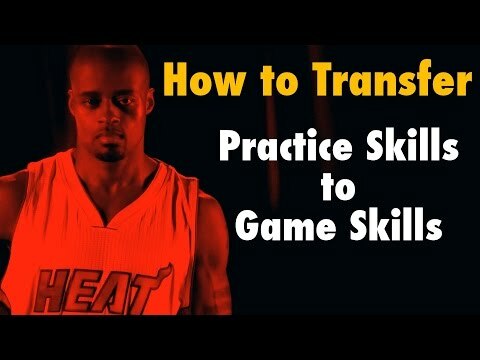 How To Deal With Pre-Performance Pressure | Dre Baldwin - Creator & Author of "Work On Your Game"
I was a frustrated 15-year-old basketball player. I’d been spending endless hours on the Finley playground courts in Mt. Airy. I was out there when everyone else was out there – AND when no one else was. Without instruction, coaching or YouTube videos to guide me, I’d worked on my game and developed some semblance of skill. I felt I deserved some success. But when the games started, the lights shone bright, and unfamiliar opponents stood opposite me, all those skills hid in the shadows. And I couldn’t figure it out. Later I came to find out I had performance anxiety, also known as stage fright. Over the last 10+ years of reading and replying to hundreds of thousands of comments, emails and direct messages, I’ve found that many other are dealing with this same affliction. Performance anxiety points your focus to the uncertain, imminent event ahead of you. You start thinking about all the things you can’t control. About who in the audience won’t like your speech, or how tough it will be to guard the opposing point guard. Instead of feeling steady, assertive and prepared, your mind is going in a thousand directions. Performance anxiety puts a closed combination lock on your abilities. After much trial and error – making myself mad (didn’t work too well), completely ignoring the upcoming event (don’t do this), and pretending the anxiety didn’t exist (which helped nothing) – I figured out how to overcome stage fright. The combination lock requires three numbers. The 3 tips I’ll give you today must be used in unison, in order. Find your Zone. If you’re not thinking, what goes on in your mind, then? When you’re in your Zone, it doesn’t matter. The Zone is the absence of thinking. You’re so locked in on the task at hand, you do it without doing it. Because of all the work you did to earn this opportunity, your performance appears effortless – you worked really hard to make it that way. A requirement of getting in the Zone is to be so prepared at your game, you can do it without thinking. Some people like to get happy and excited (maybe only in the inside) beforehand. Some get quiet and want to be left alone. It is your job to know what works for you and practice tapping into it on-call wherever you need it. After your next great game, killer keynote or client won, message me and tell me how this worked for you.